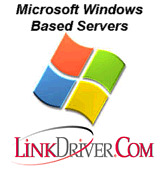 LinkDriver server products for the Microsoft Windows operating system. Unlimited license Windows based client software is included with any server purchase. I'm sorry, but there are currently no products available in the category you selected. LinkDriver is working to develop new platforms all the time, so check back soon!